February poster series available now! 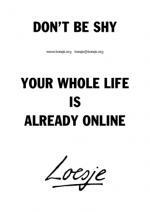 Discover the new poster series on Loesje's poster archive now! You will also find the February series in Spanish and the posters from the Communi-action training. The February series of some local groups are also available in our Poster archive: find new posters from Belgium (in Flemish-Dutch), Germany(in German) and Poland (in Vietnamese). Human Rights posters from AUS available now! Loesje gave feedback on posters about Human Rights created by 4th year visual communication students at the CAAD College of Architecture, Art and Design - The American University of Sharjah, United Arab Emirates. 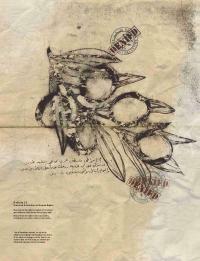 Each series of posters illustrates one chosen article of the International Declaration of Human Rights. Find all the posters preview here in Loesje's project folder! The students got feedback three times, once from the participants of the Study Session “Why not exchange prejudices for experiences” and then twice from Loesje's team. Using advice and constructive criticism, the students improved their posters into the final version that you can see on our website and on our Facebook page. The posters can be used in Human Rights education worldwide. Contact us to obtain them in good printable quality. We want to thanks the students for their good work and their abilities to improve it through time: Afra Bin Dhaher, Deema Al Mujadidi, Arwa Ramadan, Ghaya Bin Mesmar, Laila Kifayeh, Mansour Bakheet, Nour Abu Hayeh, Omar Mohamed, Rand Almaeeni, Tayma Bittard. Thanks to the Professor Shoaib Nabi Ahmad to have involved us. Loesje training day in Berlin! Sunday 19th of February, in the framework of the Communi-action project, a Loesje training was held in Berlin. 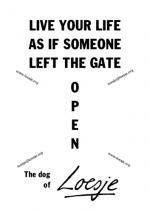 Around fifteen people, interessed in learning how to give a Loesje workshop were present. The day was composed of a session to define what is a good workshop, a creative text-writing workshop in German and in English, a session to learn to present Loesje and two final editing sessions: one in German and one in English. 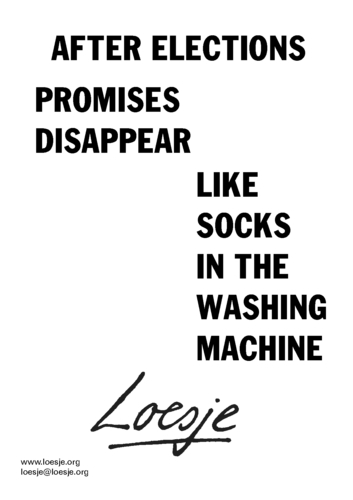 In this day, two series of Loesje posters were created one in German and one in English. Check out the Poster Archive, the new posters are coming soon in English and in German! We are looking for two creative and motivated people to do European Voluntary Service (EVS) at the international Loesje office in Berlin for 12 months. EVS is a project of the European Commission and it means you can live for free in Berlin, do society-committed work and enjoy life, if you are under 31. Regulations you can read below. 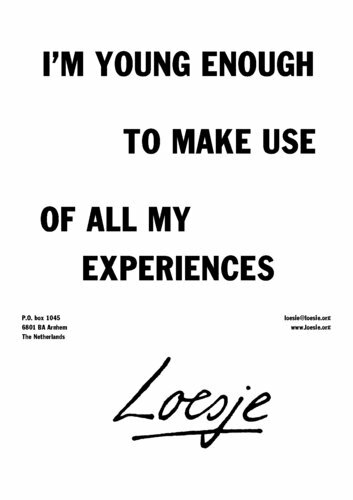 Loesje is an idealistic organisation which aims for a creative society based on own initiative and active citizenship. The objective is to exchange ideas and opinions, to stimulate people to create their own ideas. 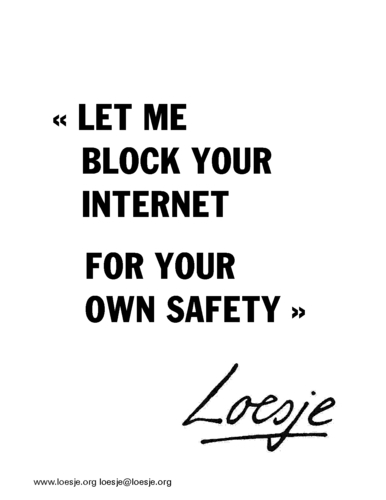 Loesje mainly uses posters with short but strong texts (one-liners), which shine a different light on particular subjects. Our main activity is to create such posters, together with our members, as well as with people from other organisations. The posters are spread on the Internet, around the streets, in community centres, schools etc. 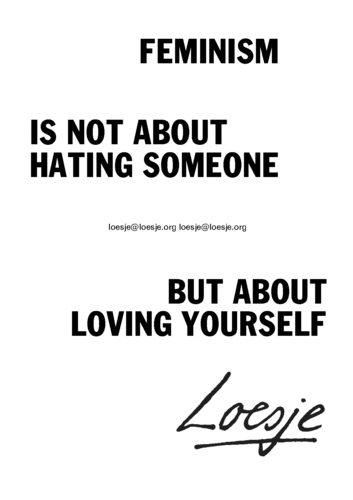 The aims of the organisation are to spread black and white posters to colour life and to create possibilities, in which participants of Loesje activities can start and support progressive social initiatives. The project will start on the 1st of September 2012 and will last until the 31st of August 2013. It will be a great experience! At our office you will be working together with Rola (SE), Artur (PL) and interns from different countries, as well as many other active people of Loesje. The accommodation is arranged and for free, we have a cosy EVS flat where you will live together with the other EVS volunteer. You get money for food and pocket money, insurance, a German language course and a bike. The atmosphere at the office is informal and there is a lot of space to come up with your own ideas. A mentor, as a personal guide, will be present during your EVS year, although we encourage self-initiative, because an active attitude is essential for the work we do. First read the regulations and selection criteria. If you have any questions, feel free to ask us. 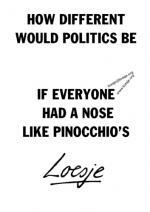 One advice, in case you know the people at the international Loesje office, pretend you don’t know them. What you write is very important to us and not what you believe that we know of you. It’s better to write more than to give too less information. The deadline for applying is the 4th of March 2012. In March the City of Amsterdam will organize a European congress on integration. 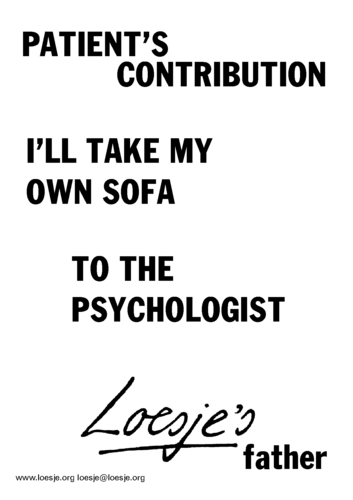 They asked Loesje whether they could print some of her texts on cards. 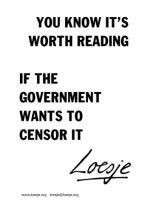 Of course Loesje wants her texts to be spread all over the world so she agreed. The cards will be spread during dinner taking place on 8 March, International Women's Day. Participants will be asked to send the card to an important woman in their lives. Our Armenian Loejse member Hranush Shahnazaryan will represent Loesje at the Advisory Council on Youth of the Council of Europe the coming two years! We are very happy about this for the sake of Loesje as well as Hranush. The Advisory Council of Youth is made up of 30 representatives from youth NGOs and networks who provide opinions and input on all youth sector activities. It also ensures that young people are involved in other activities of the Council of Europe. 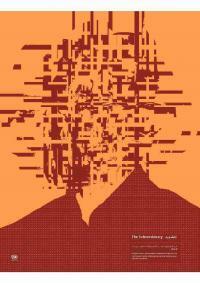 The January poster series is available in the Poster Archive. Print them and spread them around! In every country and culture, gender matters. People are not able to live their personal liberties, as they are being limited in different ways by the norm for gender. Many of us follow the rules of the norm so that we will not be bullied or punished in other ways for being different or wanting something else. Many of us have accepted the norm, and are gladly going along with it, but have never been encouraged to listen to our own wishes. In different ages, we have usually different problems. For youth who are just beginning to find their identity and stand on their feet, it is hard to be different from what parents, friends and school tell them to be, and stand up to the people you are dependent on. With this training aimed at youth workers, we try to deal with the question of norm around gender, but also other norms, which are closely linked with gender. These other norms are class, sexuality or ethnicity. All of these other categories change the conditions for a person, not only gender. Therefore, if we want freedom and peace for all, we need to also take these other categories of oppression in consideration when we study the question of gender inequality. In this matter, we will take a closer look at the term “intersectionality”, a concept used more frequently by NGO's. Hopefully, the youth workers will hopefully pass the questioning of stereotypes and prejudices in their work. We will share knowledge from our different situations and backgrounds. The norms are different in different regions. How is the norm around gender displayed specifically in our countries? What messages are youth getting from us and rest of society? We will try different method books that have been developed around gender, such as those in the Compass and methods directly connected with gender from an intersectional point of view. We will also take a very close look at ourselves. What actually are our opinions? What other opinions are there? How do we ourselves sustain or break the norm? What are the laws and statistics in our countries, compared with the charter of Human Rights? What do we encounter as youth leaders, when it comes to gender inequality? How should we change our methods when we work with youth? Through different interactive exercises we will try to answer these questions. We will collect the results and share it with each other after the training. One day of text-writing sessions to create posters around gender. Finances: The participants will have to pay 30% of their travelling costs, and insurance. Everything else will be provided by the project.